Purple Martins apparently do not breed on or very near Cedar Creek. 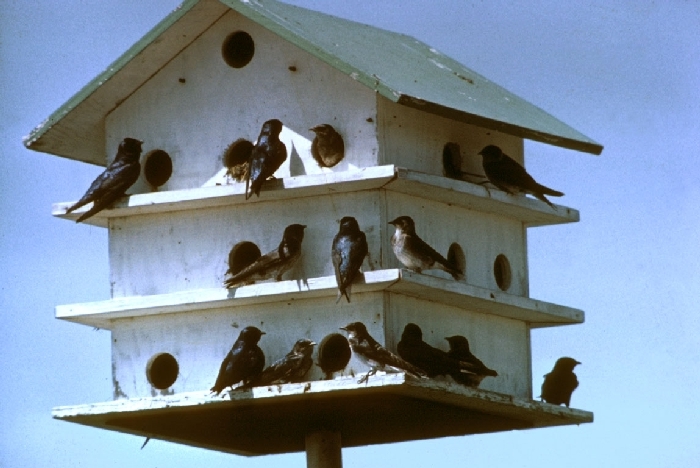 Large flocks of Purple Martins pass through the area on migration. 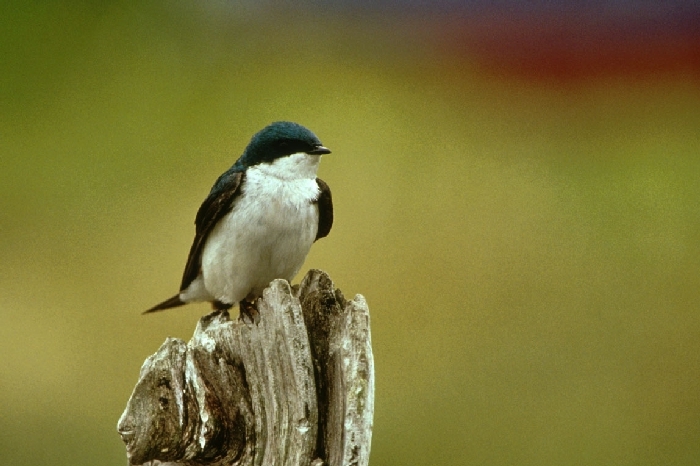 Tree Swallows are generally the most common swallow at Cedar Creek. They breed in old woodpecker and chickadee holes and in natural cavities, usually near water. 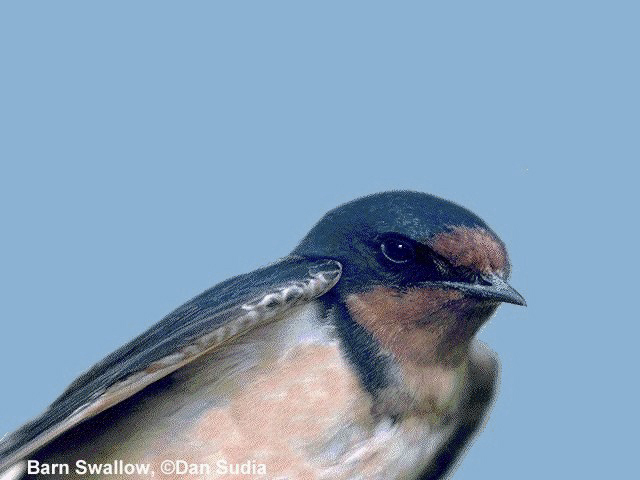 Rough-winged Swallows have bred on or near the area, but are uncommon. Bank Swallows probably do not breed on the Cedar Creek Natural History Area itself, but do elsewhere in the general area. On migration they may be present flying over the area, often in company with Tree Swallows, and sometimes in large numbers. Cliff Swallows are uncommon visitors to Cedar Creek. They do not nest on or near the area. Barn Swallows are common aerial foragers at Cedar Creek. They nest on the Peterson farm and on buildings in adjacent residential areas.